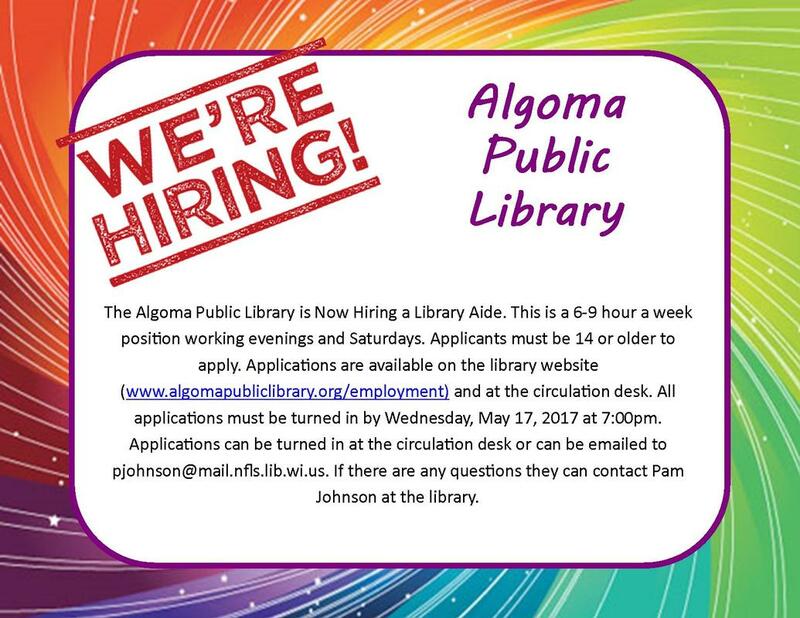 The Algoma Public Library is Now Hiring a Library Aide. This is a 6-9 hour a week position working evenings and Saturdays. Applicants must be 14 or older to apply. Applications are available on the library website (www.algomapubliclibrary.org/employment) and at the circulation desk. All applications must be turned in by Wednesday, May 17, 2017 at 7:00pm. Applications can be turned in at the circulation desk or can be emailed to pjohnson@mail.nfls.lib.wi.us. If there are any questions they can contact Pam Johnson at the library.